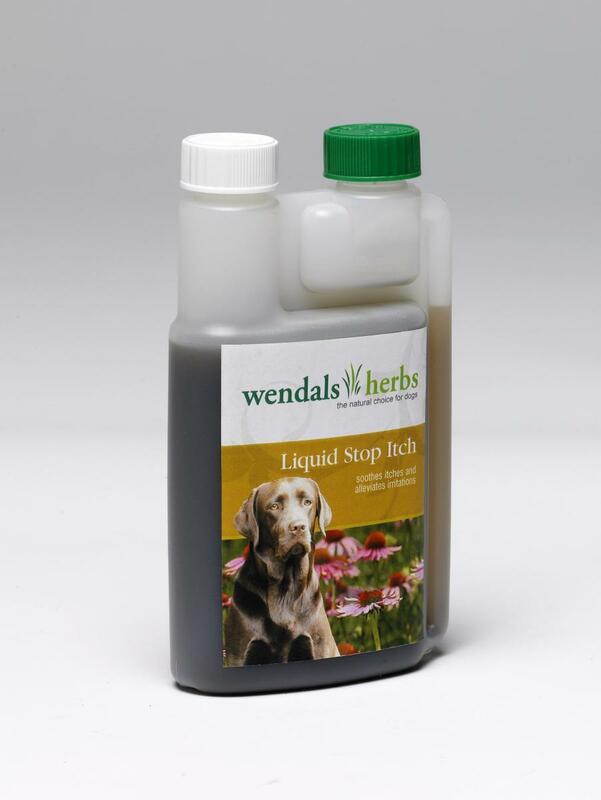 Below are some recent questions we've received regarding Wendals Liquid Dog Stop Itch, including answers from our team. This is a herbal food supplement and not a pharmaceutical product, so in a way it is not possible to say anything about it with absolute certainty. It is however regarded as a very safe, natural product and no side effects are recognised, except for occasional, mild diarrhoea if dogs are given a large amount when they have not had it before. How much of this product do you have to feed? Thanks. You should use 5 to10 mls per day, depending on the size of your dog.